What you eat is important, how much of it you eat is important, and when you eat it is important. In the big picture of things, the first two are more important than the latter. 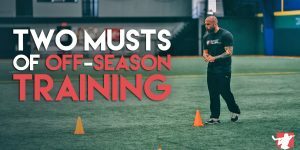 But, if you want optimal performance combined with optimal recovery, you’re going to want to care about all three factors. “Hey Coach, what should I eat after a game?” – This is a question I have received hundreds of times across my career, and for a good reason. Athletes intuitively know that this is a prime opportunity to get a jump start on the recovery and adaptation process the body goes through after a game or workout. The body very differently at different times of the day, this largely depends on physical activity expenditure. What you consume before, during, and after physical activity can meaningfully impact body composition, performance, psychology, and recovery. Certain nutrients perform much better than others within this window and should be placed here in order to take full advantage of the opportunity. An abundance of scientific literature has now been done on athletes in the post-exercise window measuring every concoction you can think of. Exact amino acid formulas, dozens of different types of carbohydrate sources and ratios, dozens of different protein sources and ratios, as well as throwing in some electrolytes here and there. Overall, studies continue to demonstrate that post-exercise nutrition can help both elite and non-elite athletes in their pursuits, whether that be body composition or performance/recovery related. Today, I want to dive into how we are going to attack this and provide you some sample options to start trying out today. What’s the Point? Can’t I Just Have Protein? Protein is a great place to start, but it doesn’t exactly cover the complete picture. The post-exercise period should be structured in a way that replenishes your muscle glycogen, decreases your muscle protein breakdown, and supports the stimulation of muscle protein synthesis (muscle repair/growth). 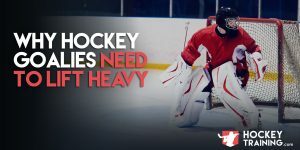 Put simpler, hockey athletes should be refueling, increasing muscle size, and repairing any damage that the game or workout could have caused. 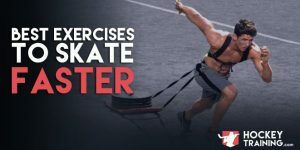 Accomplishing this allows them to increase performance, recover faster, have a better body composition, and further prevent injury risk. In doing all of this stuff, we are going to want to have a combination of carbohydrates, protein, and electrolytes. The incorporation of carbohydrates is specifically relevant to hockey players as hockey is a glycolytic sport, meaning, it primarily utilizes carbohydrates as it’s preferred energy source. So, post-workout nutrition has to support this supply and demand chain. If we deplete glycogen (carbohydrates stored within the muscle cell) during a game, we need to be replenishing that if fast recovery is a goal of ours. It’s the post-workout protein that is helping with the above-mentioned prevention of muscle protein breakdown and support of muscle protein synthesis. This helps our body gain muscle mass when we are in a lean mass phase or maintain our lean muscle mass when we are currently trying to drop body fat. So, it’s no mistake why so many people see it as an obvious go-to for adaptation and recovery. Whey has earned its reputation in the industry because of its amino acid profile, most specifically due to the high leucine content, an amino acid that plays a big role in protein synthesis. The recommendation here is to consume 0.5g per kilogram of body weight immediately post-game or post-workout for maximum benefits. For example, if you are 80kg, you’re going to consume 40g of whey protein in your post-game supplementation. I personally have all my 1-on-1 athletes consume ATP Whey Isolate, the quality is unmatched. No matter how good your pre-workout or pre-game meal is, it can make up for a lack of recovery over the past 24-48hrs due to poor nutrient timing and choice strategies. The moment you are done your session, you are already preparing for your next. Period. The recommendation here to get maximum benefits from carbohydrates are to consume 0.5-1g per kilogram of body weight. I personally like ATP Pentacarb, as this has the best forms of post-workout carbohydrates available and also contains the ideal electrolyte mix for hockey athletes. 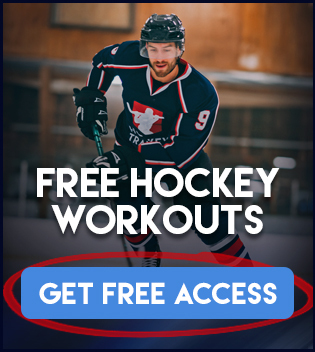 So, you can more bang for your buck here and just overall cover more areas that support performance and recovery for hockey players. Although I prefer supplementation due to convenience, speed of metabolization, and overall research results – there is nothing wrong with going with whole food options. If you’re somebody who has the time and ability to get a post-workout or post-game meal in that doesn’t stretch the limits of being too far away from the activity (ideally you would want this to be within an hour after your game or workout), by all means, go for it. Since shakes are pretty straightforward, and that we already have a video out on post-game smoothies you can choose from, I’m going to use this opportunity to provide you with whole food meal options that still check all the same boxes as the above. At the end of the day, the combination of carbohydrates and protein immediately after a game creates a stimulatory effect for muscle growth, muscle repair, muscle retention, glycogen replenishment, and enhanced hydration. Over the long term, this all places investments towards you improving your body composition, recovery, and overall hockey performance. One last note before I go, I wouldn’t ever recommend these types of meals unless the effort applied during the training session and/or game was high. Put another way, if you’re riding the bench, or if you’re just doing a light workout session, eat a normal meal afterward. No need for intense nutrient timing strategies in those scenarios. If you haven’t already seen it check out our Best Pre-Game Hockey Meals article to learn about what you should be eating prior to your game, and if you’re ready for a full hockey training program check out our programs here.